As a parent of a kid with ADHD, there are many things that overwhelm me when it comes to making choices for my child. Nutrition and supplements have been something we have worked on for years. We keep tweaking our plan of attack -now we are gluten, corn and nearly sugar free. I have tried many different supplements and can honestly say, that I have found the best natural ADHD supplements for kids that really work. Be sure to keep reading for our updates one and two years later and how we were able to reduce my sons medication by half and then take him off completely. I say “our” because ADHD is a family issue-one that really can affect everyone in the house, not just the person diagnosed. I have learned so much over the course of trying to figure how to best manage my son and have found out that what goes into his body can have a huge effect. I am uber vigilant about what my both my boys eat. We stay away from gluten and corn completely. We limit processed sugar to a once a week treat. We buy organic fruits and vegetables as much as we can. We are low on grains and eat mostly grass fed meat. Dairy is limited to yogurt. Both boys drink water or unsweetened almond milk, exclusively. I have read tons of parenting books to help our struggles, as well. These steps alone have made a big impact on both of my boys. That being said, even with our excellent nutrition, my son still takes medication to help him focus at school. (My son does not take prescription meds any longer. YEAH! 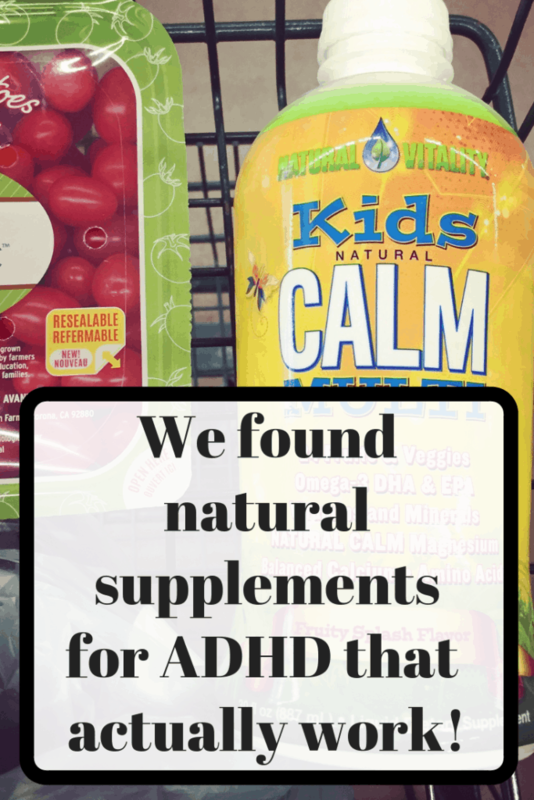 But we still think these are the best natural ADHD supplements for kids. Read our update below or skip right to our ADHD STORY.) He is not medicated in the mornings and after school and our nutritional measures definitely help him manage better during those times. Sometimes nutrition and supplements are enough to treat the symptoms of ADHD, but not in our case. This is a liquid multi-vitamin with an emphasis on magnesium. The ingredient list is packed with fruits, veggies, fatty acids, magnesium and other important nutrients that many kids do not get in their daily diets. What I notice: My kids love to take it–we usually take it at bedtime to capitalize on the calming effects of magnesium. I notice a marked difference in both kids and their ability to settle down for bedtime. A note on storage: this product will last longer if you store it upside down-otherwise all the heavy elements will sink to the bottom and form a rather solid mass. Shake very well before serving. 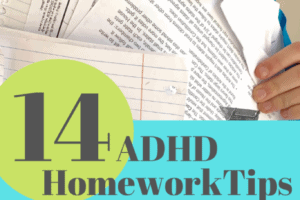 We have been hearing about the beneficial effects of fish oil for kids with ADHD for awhile now–especially boys, who’s brains seem to be starving. Some fish oil supplements taste icky or make you burp up a fishy taste-Barleans does not. 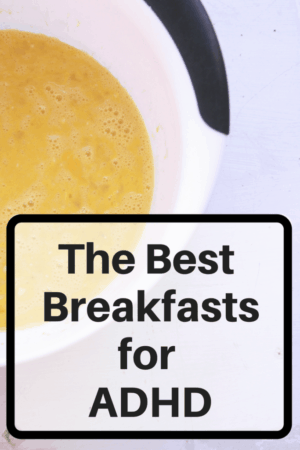 The flavors are yummy and both my boys take a healthy dose of this every morning. What I notice: While this is harder to notice concrete results, my boys seem to be more focused at school this year and have no trouble doing homework after school(it used to be a battle) While I can not directly correlate these improvements to the fish oil, I think it has had an overall great effect on their health. My boys are rarely sick and miss school one or two days a year for illness. Gut health is another topic that has gotten so much press lately. Our gut, it seems, is like second brain, with it’s massive amount of neural tissue capable of affecting our mood and overall well-being. A healthy gut is vital for overall health, the absorption of nutrients, protecting the body from foreign invaders, and the regulation of many hormones. Yogurt can help to introduce good bacteria into the gut, but watch out for high sugar content and other added icky ingredients. My boys take these chewable tablets by Jarrow every day to insure they are getting a good dose of healthy gut bacteria. They love the taste, there is no complaining. In fact, they remember to take these without any reminders. What I notice: My boys rarely get sick or have a need for antibiotics. Their day to day physical health is pretty amazing. I take MagMind myself, before bed, and it has an incredible effect on my ability to have a really good nights sleep. Seems that most of the population is suffering from a deficiency of this very important mineral. This one is great for the whole family. These supplements are meant to be used as part of an overall nutrition plan and they are not miracle pills. My son still has struggles with his emotions from time to time. BUT, I have seen a difference with these supplements. The calm times far outweigh the crazy ones. These supplements can be a great compliment to ADHD meds. I am not a doctor, but I am a mother who has learned from experience and a lot of trial and error. Every ADHD kid is different in what works for them, but these supplements stand to benefit ANY kid. Their quality is outstanding. Please let me know how these work for you, if you give them a try! There are Amazon affiliate links in this post, which means that, at no extra cost to you, I may receive a small commission when you purchase these items with these links. These supplements can also be purchased at some health food stores and thru the companies individual websites. Make sure you are purchasing them from a reputable seller. UPDATE–two years later and we are still using all of these. I have been able to take my son off all his prescription medication. Read about our ADHD Journey Part One and Part Two to see all the details of how we got off ADHD medication and switched to natural treatments for ADHD. Also, we have gotten so much help from a weighted blanket! My son goes right to sleep and I get peace of mind, knowing bedtime will be so much easier. What ages can take MagMind? My little guy is almost six and doesn’t yet swallow pills. Thanks! Hi Rebecca, my son started taking the pills around 8. Before that we used a magnesium oil that you can rub on the bottoms of feet. Works super well too. You can get it at Whole Foods and other health food stores. Hope that helps! Did you make your own magnesium oil? Or which did you buy? Thank you! I purchased my magnesium oil from Fruitful Yield, a local health food store. I do not remember the brand, although I know there were only two choices. Whole Food would be a good place to try, too. Making your own sounds interesting, too. Thanks for your comment. My son is4 years old he can take mega mind ? Hi Antonia, I would suggest starting with a magnesium oil. When my kids were little, I rubbed the oil on the bottom of their feet for easy absorption. You can try a good magnesium soak, too. I am a grown up, and still have trouble swallowing pills! One method I have had success with is to put the pill into a spoon of jam or pudding or yogurt…something slippery that doesn’t need chewing. The whole bite, with the pill inside, slides down nicely that way. Yes, Karen! This can help as well. The Jarrow Probiotics are yummy chewables–it’s just the MagMind that can be tricky. Thanks for your thoughts. I too follow strict guidelines in our house for food. It’s hard, we still hsve some sugar throughout the day, it’s hard to completely be free of it. My 9 year old, does well in school but looking to help with his inattentiveness and his concentrating levels. Would mag mind put him to sleep? I do probiotics and do omega 3 minis. 1,000 I believe of the Nordic brand. Any other suggestions. I really like the Barleans fish oil..it’s the only omega-3’s we’ve used. 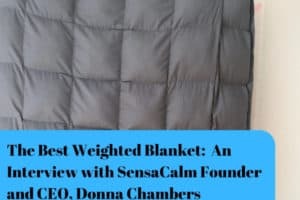 In terms of getting to go to sleep easier, my son also uses a weighted blanket by SensaCalm which is amazing!! We also have a bed time routine we stick to even on the weekends and vacations. Let me know if I answered your question! Thanks for asking. I find that when I give my son MagMind about an hour before bed, it helps settle him down so falling asleep is easier. 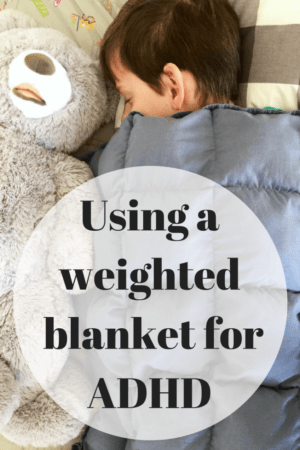 His weighted blanket helps with this, too…I have to write a post about that, too! HI Shiela, Do you have access to amazon? You can order many of the vitamins thru them. HI Elisa, Do you mean dairy in the supplements or the breakfast foods? Not sure which post you are commenting on, thanks for reading. I just received my Kids Calm Multi, but my 3 boys hated the taste. Do you have any suggestions for ways to make it taste better. I hate to waste this whole bottle. I also got the MagMind and i’m excited to see how it helps my boys. Thanks for all your great info! HI Ruth!! So sorry! You are not alone…my boys took it for years with no complaints….until recently and we just switched to Kids Calm drink mix –my latest post. BUT, others have reported that mixing it in pineapple juice has worked very well. I used to have the fish oil ready so they could gulp that down immediately to help with the taste. You can also hide it in a smoothie or tomato juice. I hope to get back to it because while the drink mix is great…it does not have quite the amount of vitamins, etc.Let me know what works! Where do you normally buy your supplements? I hesitate the quality from Amazon… do you really know what’s in them? You are right to question buying from Amazon–I get the Jarrow supplements directly from Jarrow who sells on Amazon-not from any other dealers. You can also buy from their website. The KidsCalm and the Barlean’s are sold at Whole Foods and locally in Chicago at Fruitful Yield. Make sure to check the KidsCalm to see that it has not all settled on the bottom. I store mine upside down in the fridge once it’s opened. Let me know if you have any other questions. Hi Rebecca. sorry to hear things are tough for you and your son right now. Do you have a 504 in place at his school? I’d start with his teachers and see what they have been doing to help. I guess I have a few questions, too. Does he struggle to remember everything he reads? Even things he is interested in? Can he read the words, and comprehend at the time and then just forget later? Thanks, just trying to get a better understanding of what he has trouble with. My daughter has ADHD, she is 7. Over a year ago we started her on fish oil (Nature’s Answer, she needs 1000mg DHA per day), probiotics (usually NOW Berrydophilus), Magtein (Life extension) and B-complex vitamins. Her attention span has increased within 2 weeks of starting, she can work better, there are no complaints from the teacher. So we have a very similar protocol as you and have no intention on changing anything, we can really see the benefits. My son has a speech development delay, the same supplements caused a marked improvement a month after starting. Bravo to you, Marija! So glad to hear that you have found supplements that work for your kids – they are lucky to have you as a mom. Thanks for sharing other brand alternatives that are working for you. I do agree with the B-complex. My son is 12 yr. Old and I started it about 4 weeks ago and found amazing results. I have decrease hi meds intake as a result of cutting out sugar. I also read something about different foods having different affects on him, so as a result I am now teaching him to read labels and to make healthier choices. I was told with the fish oil that the DHA should be higher than the EPA so I give my son a brand call progressive as it’s DHA is very high. Great job!! What other foods have you noticed a reaction to? We are gluten free and corn free, and now cutting way back on dairy and sugar. We really limited sweets but now are taking it a notch further. What do you pack for lunches? My son is so self-conscious about taking weird or super healthy food to school. I’ve upped my vitamin B, too! Hi Crystal! Kids Calm Multi has a good does of the B’s. We take this everyday – yes, I think they are pretty important. Hi Katrina, My son is on Focalin…we tried about 6 different meds before we settled on Focalin. He had been taking 10 mg twice a day, but with the help of these supplements(and other measures) he now takes 5mg twice on school days and 5mg once a day on weekends and holidays. My hope is to eventually go off of it completely. It is so hard to have my son on meds, but right now it does manage his volatile emotions. Thanks for reading!! Incredible article. My son has adh d and tics. We recently have to go on a med break as his side effects are pretty bad. We are also gluten free and low corn as corn makes his tics worse. Focalin was decent for him school wise but HORRIBLE for his tics.😖 Going to look into the supplements you mentioned. We are also just trailing cbd oil, no tch, for his tics and adhd, anxiety. Got his at the health food store. Currently trying to cut dairy but he loves milk..going to sway him with vanilla almond milk.😳Thank for helpful info. Hi Stephanie, Thanks for your comments–sorry to hear about what you are going thru–you are a warrior mama! I have just started hearing abut some different kids of oils too–mct is one. I have to do some research, but its so great to know that I think the tides are turning and we will be hearing so much more about alternative treatments. Focalin helps my son at school, but I think worsens his anxiety and emotional stuff. I’m learning, too, that it’s not just ONE thing, but a bunch of things together that will help. Let me know how it goes and what else works for you guys. I am here with you about getting his anxiety and moods worst with focalin. Exactly whats hallening to mine at a point that I just stopped giving it to him. Hi Nancy, We stopped my son of all focalin this summer and his anger has really subsided. I hate that what I thought was going to help was actually causing things to get worse. We will start school in the fall 100% med free, so crossing my fingers! Stephanie, my son has ADHD and Autism. We were having trouble with tics as well on any stimulant medicine we tried. We put him on a dose of intuniv (guavicine) which is a non-stimulant and the tics stopped. They were due to the reaction of the ADHD medicine to his Autism. Thought it might help. Love this article, Beth – Thank you for writing it. We are just starting to try vitamins and reduce our medication. Thanks Jeni, it’s always great to hear what’s working for people. Let me know how the supplements go. Thank you for this! Have an almost 6 yo and at his next med check will ask about these!! I echo the comment re: the emotions when my LO is not medicated. Holy emotions Batman!! Hi Amelia, Great to address this when your son is young..for us the emotions are a much bigger problem than hyperactivity or inattentiveness. A weighted blanket has also done WONDERS for him. Good Luck, let me know how it goes. Thanks for your comment – this journey can be so lonely at times. Hi Beth, crazy emotions over here too. Just wondering what a weighted blanket is and how it works. Thanks! A weighted blanket(some kids benefit from weighted vests) helps to calm kids by providing pressure and sensory input. It also helps to release serotonin in the brain. My son did a short stint with an OT and she suggested it. We use it at bedtime and he falls asleep so easily under it. We bought ours from SensaCalm-check the sale section and make sure to get the correct size. They are expensive, but by far has been worth every penny. My son as a baby LOVED to be swaddled super tight, so that was a good indicator that the pressure would be beneficial for him. Thanks for asking and let me know if you have any other questions!! Yes the emotions are way worse than the adhd. Volatile and emotional and exhausting if Im truly honest. I spend a lot of time researching how to get him to a good place and in the process believe are family is healthier. Has forced me to look at food and all the junk. My journey is very much the same….I have begun to look at my son as a gift to our family in so many unexpected ways. I would never have researched this much and changed our entire life for the better if I was not always searching for a way to figure out his stuff and make things easier for him. But, it’s tough for sure. You’re doing great things, mama!! About two years ago, my doctor introduced me to inositol. Inotistol is technically part of the B-vitamins, but it is vital for energy process in the body including neurotransmittion. There are have several studies done on its effects in bipolar, panic disorders, and depression. It is newer to the scene of ADD, but I can tell you personally-in addition to what you suggest above-this supplement (I use the powder, which a slight sugary taste and can be mixed with anything) has allowed me to go completely off my ADD meds! Are there times where I need a boost, yes. During those times, I will use essential oils. I don’t know if you are interested in either path, but if you are be sure to do your own research. Wow…I will do some research…interesting. Thanks! Always looking for more information. Thanks for letting me know!!! My son is 9 and he takes Natural Vitality every morning. He also struggles with emotions as well as trouble sleeping. I’m interested in trying the Magmind at bedtime. I guess what I’m asking is that too much magnesium daily if he takes both? He takes The Natural Vitality,( which is the one you had in pic )has 240 mg of magnesium. He’s not on any other meds. He has recently been diagnosed and unfortunately my Dr really hasn’t been helpful. I’ve spent countless hours researching tips on parenting, meds, you name it. Since he takes the Natural Vitality Kids calm in the morning I was debating the magnesium before bed. I know what it’s like to not have a helpful doc. Mine did talk about the magnesium and okayed it with my son. Sorry, I always call it KidsCalm-didn’t recognize the name! it’s 240 to 420mg a day for tweens….Have you ever tried giving him the Kid’sCalm at night? I also bought a weighted blanket from SensaCalm for my son which REALLY helps him fall asleep. Let me know if I can answer anything else! HI Christine, Okay, the recommended amount for boys 10 and up about is 240 to 350mg a day, so he’s right on the edge. Sorry your doctor is not being helpful. Have you tried to take the KidsCalm at night? 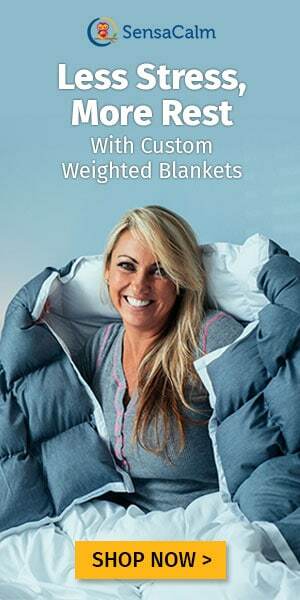 Our weighted blanket also helps at night a great deal. See above for more details. Hope that helps! Bravo to you for all the research you are doing….seems necessary as so many people in the medical community don’t have much to offer. Hi Jamie, It depends on a child’s age. My son is 11 now so we do 2 capsules at night because the Kid’s Calm also has magnesium. Hope that helps.The magnesium really relaxes, so I like to make sure we take some at night. Not really, so in your blog you give him one capsule when he wakes up and another when he gets home from school? So are you saying you also give him two capsules at night along with the calm? Jamie Sorry to confuse, I’ll add this to our update because I’m always tweaking when I give him these. Most days we do Kidscalm, YumYum dophilous, and Fish oil in the morning and then 2 MagMinds at night. I find the Magnesium helps him fall asleep much easier. Thanks for asking!!! Super! Let me know how it goes. My son is 8 and he started taking Quilivant XR. He was doing good on it but the meds are on back order so his pediatrician switched him to Focalin. He recently started the new medication. I can’t say if it’s working for him but Your post is super helpful! I’ve tried to find natural supplements that help with ADHD but it’s been difficult finding something that works because these supplements get pricey! He’s currently taking a mega food called vayarin; it’s basically omega 3 at a more potent dose. (EXPENSIVE!) Can’t tell you if that’s working because they say it takes 3 months for you to notice a difference and he’s on month 2. I might try the one you suggested when those pills are done. I’m struggling with him right now. He’s having behavioral issues, forgetting things and inattentive. He has an auditory processing disorder as well which many symptoms are similar to adhd. Anyway, thank you for sharing I needed to read this! HI Brittany, so glad to hear you are trying some natural supplements. These waters are so hard to navigate. I have not heard of the supplement your son is taking, will check that out. It takes a lot of gentle, curious parenting which is not always easy when dealing with challenging behaviors. Let me know how it goes! Brittany, we are in the same boat. We have enough Quillivant XR to last thru Feb and are meeting with his drs next week. This blog post has been so helpful! Thank you, Beth! Curious- how do y’all monitor what they eat at school? I visited the school around lunch last week and found my son with Doritos powder all around his mouth bc a friend didn’t want his chips! I would have never known if I hadn’t just happened to have been there at lunch. Currently we do not have specific food restrictions and I know it will be a battle to even do half of the things you have mentioned re: food. Yikes! Help! HI Catherine, Thanks for your comment/question. Eating at school is REALLY tricky. When my kids went to a Montessori school they were not allowed to share and were easily monitored. Now at public middle school its a free for all! My son talks about how he shares his food with others, so I am sure he eats other people’s food. We do not have specific allergies, but we follow a gluten free, corn free and super low sugar diet. He likes nothing weird in his lunch, so I try to buy healthy foods that look like their crappy counterparts-packages of trail mix, sweet potato chips, larabars, etc. I also pack two servings of vegetables and say they can eat those after school if they want. Not putting pressure on them to eat it all has helped–they just bring those items home and eat them first after school. I think if I said they had to eat them, they’d just throw them away at school. I don’t go crazy thinking about it (because I could!) I just make sure that at home we eat super duper good stuff. Friends, please chime in–I want to get some other ideas, too! Do you have an update on the vayarin? It’s been rec for my son, but so expensive, and not a lot of reviews of it! Would love to hear of your experience with it! Trying to change his diet and stay consistent with natural remedies. He’s off all meds. Hi there- I am really enjoying reading everyone’s comments. Very informative. My son is 5 and we are having a great deal of trouble with him in school. He is having difficulty retaining information, sitting still in class and so on. We have been to the see a pediatrician who wanted to start him on medication at 4 years old. We have decided not to do meds at this time and try diet change and vitamins. I’m looking for any suggestions you can give for a younger boy. Thanks! Hi Brittny! Bravo to you for investigating other options. I always recommend looking at sleep(at least 10 hours a night), omitting gluten, corn and sugar(we don’t omit sugar but are SUPER low), getting lots of exercise and time in nature. Sorry if these are all obvious to you – they have been super important to us pretty much forever. Let me know what’s working. Hi, I loved you article. My son is 12, 13 next mo. Has ADHD along with several other diagnosis and a fish allergy. Do you have any ideas for a substitute for fish oil? Have you tried Algae oil? Algae is where fish get there nutrients – so probably very beneficial. Flaxseed oil is also good–just does not have everything that fish oil has. Let me know if you try the algae oil! Because it is higher. They were out of it so I got the omega minis this time around however it’s just a little less. I also got the kids calm too. What is your logic on the different amounts of omegas to help with spaceyness and inattentiveness? Hi Mary Beth, Thanks for your comment. I see both of my sons in your description. What is interesting to note is that inattentiveness can be reworded to “selective attention”. My kids have great attention when they are doing a preferred activity- like reading or drawing-or the rare video game. I think it’s hard to pinpoint exactly the benefits of fish oil for ADHD-some research says there is no effect. What I notice in my own children is a general ability to focus a bit more, a higher frustration level, and just better all around mood. Transition times are a bit easier, etc. That said, we have never taken the fish oil in isolation of the other supplements. They are probably all working together. This article has some more details, too. What also helps us, too is regular exercise (mostly forced by me!) and very low screen time. Hope this helps….tell me more if I am not answering your question. Thanks- you are doing good, mama! Hi! I am wondering how the liquid supplements that you suggested taste? I have a super picky 6 year old and a 13 year old that is the same way. Normally neither child can tolerate any type of liquid medicine, so I was curious? The fish oil is way better than the KidsCalm. I have one picky eater and one not so picky. Both take the liquids without a problem. They do the KidsCalm first and then the fish oil. Do they do gummy vitamins? I have seen some kids fish oil supplements in that form. 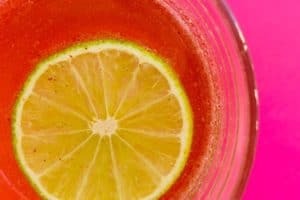 How do the supplements that you mentioned taste? Both of my kids also have spd and are terribly picky! Crystal, The KidsCalm is not as good as the fish oil. My kids take the fish oil last so they have a better taste in their mouth! Do your kids like gummy vitamins? There are some fish oil brands that make them in gummy form. Let me know if you try them! Hi Jessica, Thanks for your question and so glad my sharing helps. We have tried everything under the sun and found somethings that really work. I believe 240 mg. is the max for kids 6 to 10 for magnesium. It depends on what other supplements you are giving and if they have magnesium or not. We do the KidsCalm in the am and then 2 MagMinds at night. 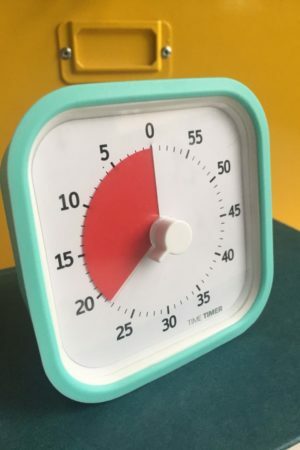 I find that the night time dose is the most helpful at getting my son to calm and go to sleep–we take it about 45 mins to an hour before bedtime. Hope that helps!! Let me know how it goes. Hi Kris! Funny you should ask….I just heard a great podcast about them and am looking into them more. I have tried a diffuser in the past with mixed results…..I like it, my kids like it, but did not see such an effect. What have you tried? I need help! Most of the comments list the kids as being in the 7 to 10 year old range. I have a 14 year old that is 5′ 11″ and weighs 174 pounds. He is very active in sports. He takes Focalin XR 10 mg currently. He says it is ineffective after about 2nd hour at school. Any suggestions for vitamin supplements to help? The Focalin gives him headaches and he would chose healthy methods over medications any day. Hi Gale! Has your son tried magnesium? Because he is older, he’ll be able to take 3 of the MAGMIND capsules. Would he take one or two at lunch? SmartyPants has a TeenBoy version that looks interesting, too. Do you notice a difference in his behavior or demeanor when he exercises a lot? My son was in Cross Country in the fall and BOY! did that help with his focus and emotions. Fish Oil is good for any age…my husband with ADHD takes that with the boys in the morning. Let me know what you try! So I am curious about the MagMind…you only give 2? The bottle says 2 in am and 1 at night. Do you only give at night since you do the Kids Calm in the AM? Would that much MagMind in the AM cause sleepiness at school? Looking to start some supplements and don’t want to give too much of something. I do only give two of the MagMind because the KidsCalm already has some magnesium in it. I don’t think it would be enough to make anyone sleepy at school. It just has a nice calming effect–I really notice at night. Makes it much easier for my son to nod off. Thanks for sharing this valuable information! From one mom with children with special needs to another: Try to google integration of primary reflexes in relation to ADHD. Some osteopats can help and also there are exersices that can be done to integrate the reflexes and help our children. Have you had success with this? Our speech path at school told us all about primary reflexes and gave us some exercises to do. I never really tried them because I did not know which ones to do specifically. Have you heard of Brain Gym? Similar exercises? Thanks for your response, I’ll do a little googling. How long would you say kids calm last? My son is 8 and has had difficulty in school since kindergarten. Up until now it hasn’t disturbed his learning but, his test grades have dropped drastically. I’ve ordered all of these supplements but, not sure what ratio to start. If school starts at 8am what time should I give the am supplements? Also can a 4 yr old take the magmind supplements? Thanks for your note. I would say to give the KidsCalm as close to school time as possible. I usually give it to my son on his way out the door. I don’t think of the supplements as lasting a certain amount of time, like meds do. I think with supplements its the daily consistency that matters. As far as testing, my younger son has accommodations at school for testing. That helps, too. Magmind is a bit too much magnesium for a 4 year old. We used magnesium oil when my boys were smaller. It is used topically on the bottoms of feet or the back of the neck. Let me know how you like the supplements. I appreciate your response so much. We went to our physician’s office today and it was as I expected, ADHD 🙁 We are going to try these supplements before making a drastic jump to medications which his father is against. I am going to get an IEP done on him as well so we can cover all my bases. The ADHD diagnosis is so baffling. Both of my boys have ADHD and could not be more different. You will discover so many gifts that our kids have, too! Bravo for not starting out with meds. We are not even starting them with our youngest son. Let me know if I can help in any other way. Hugs to you and your family. Do you have any suggestions for the Magmind pill? My 8 hr is not able to swallow those. He takes forever and I can’t explain to him an easy way to do it. Should I just go buy a powder? We both end up so frustrated and sometimes tears flow. I just want to give it all my best shot to get him on a stable path. Just want to say thanks for posting this!! I have a 4 year old who hasn’t been diagnosed, but with everything I’ve read and researched I truly think it’s ADHD. He started taking the KidsCalm about 2 weeks ago in the morning before daycare and that along with no processed sugar and no screentime has made a big difference. Bedtime is also a huge issue for us so I will definitely be trying the magnesium on his feet along with a weighted blanket. Thanks again!! Bravo to you!!! I think that no/low sugar and minimal screen time have as great an effect as the supplements. My boys at 9 and 11 still have very minimal screen time which is VERY different than their peers, but I’m sticking to it. Thanks for reading!! My son has adhd also. I will be ordering all the supplements ASAP to try. Thank you for the info!!! **The only thing I have to add that I feel might be helpful to the possible cause of the emotional breakdowns list that is trying to eliminate anything with Yellow 5 dye in it. That seems to make my son hyperactive, moody, irritated and defiant so we try to stay away for that as much as we can. You’d be surprised how many foods have it in it. Just wanted to pass that along. Thanks Keista, Yes, many dyes sneak into things..thanks for reminder! I started the supplements about 2 weeks now. How do I know if they are working? My son seems more tired than normal is all I can see. Hi Sherrelle, I can say that with my son it took some time…and I continued to see improvement the longer we took the supplements. We are also in therapy which helps immensely. I see the supplements as part of a whole plan for us–but for some people its all they need. I’d give it some time, but you may have to tweak the magnesium if he’s still tired. You could just do it at night to help sleep. Thanks for checking in. I’m still trying to get an IEP done and get concrete information. The pediatrician didn’t do anything she just went off the papers we filled out. Such A great read!! My son is 11 years old and was diagnosed with ADHD about four years ago. He has been on a couple medications, and the side effects were not worth it. Between the weight-loss, the insomnia and the paranoia, I felt like I was a mother to a zombie. He has been off medication for about three months now. I am really interested in the suggestions above. What was the daily regimen. How many of the capsules of t A great read!! My son is 11 years old and was diagnosed with ADHD about four years ago. He has been on a couple medications, and the side effects were not worth it. Between the weight-loss, the insomnia and paranoia, I felt like I was a mother to a zombie. He has been off medication for about three months now. I am really interested in the suggestions above. What was the daily regimen? I ordered the MagMind. And i am interested in the Kids Calm Multi. Were you worried that it was ever too much magnesium? Also, did you put the fish oil in a juice? Was the probiotic given everyday in the am? I new to all this. Thank you for this post!!! It gives me so much hope!!! Hi Ashley, We do 2 MagMinds at night. We are still close to the daily amount for magnesium and my son tolerates it well. These effect everyone differently so you may have to tweak things a bit from our regime. We do 2TBSP of Kids Calm in the am with Fish oil and 2 of the probiotic chewable tabs. The Kids Calm has some fish oil in it, too, but my kids tolerate the Barleans well. Let me know how it goes! Hello! I have a 9 (she’ll be 10 later this month) year old and an 8 year old: how much MagMind should I give them? Their daily multi-vitamin doesn’t list magnesium and the only other supplement they take is Barleans Fish Oil Swirl. My 9-almost-10 year takes an Rx for ADHD in the mornings and my 8 year old doesn’t have any Rx right now. Would it be 2 capsules of MagMind in the AM for the older girl, with 1 at night for her, and then 1 in the morning and 1 at night for the younger daughter? Thanks for your tips! Hi Cindy, Thanks for your question. 240mg (350mg max)is the recommended dose of magnesium for a 10 year old. So if you are doing the MagMind exclusively for magnesium, then 3 per day is great. You want to account for kids getting some magnesium from food, too. If sleep is an issue save 2 until a 1/2 hour or so before bedtime. Try 2 for your younger child and see if that helps…you could probably do three for her as well, if you don’t see results. We also did a blood test to see about mineral deficiencies – and my son tested low for iron and zinc – two markers for ADHD. So we are giving him additional iron and zinc for awhile. His magnesium was fine, I am sure due to all that we take, but you want to make sure that you don’t go over board on supplements, either. Start on the lower end and you can always modify! Let me know how it goes! Hi, thank you for sharing this information. I am excited to get started. My kids tried the Kids calm Multi last night and all hated the taste! Any tips? They could smell and taste it even after I mixed with Apple juice and water. Thank you! HI Nichole, Oh no! My kids do not love the taste but they tolerate it. They take the Kids Calm first and then quickly take the fish oil or the probiotics which both taste yummy to them. Would they try the old trick of plugging their noses? If it’s that bad, you don’t want to make your life miserable by forcing them. They might get used to the taste, too? We usually mix gross stuff with really pulpy OJ. The texture kind of masks icky tastes. If anyone has a suggestion please comment – Nichole, I am sure your kids are not the only ones. I came across your blog about 2 mths ago. Thank you. My 10 yr old son is diagnosed with ADD and impulsivity. Not on any meds, although they were recommended (trying to avoid this)but having behavioral challenges at school and opposition issues. Got him on your regimen a month ago. Started seeing some improvement in week 2. Week 3 was heaven, but then he began complaining of stomach pain after taking MagMind in pm and threw up. We switched to one MagMind am and one pm instead of Kidscalm. Now the improvement seems to be wearing off. My pediatrician is convinced magnesium works solely on placebo effect. I was so hopeful, now getting discouraged. Any advice? After reading book Finally Focused, wondering if maybe in need of zinc? BTW Thank you so much for all your work. It’s so nice to know I’m not alone. Also, we found that combining Kidscalm with mango juice masked the bad flavor quite well. What I know to be true for us is that vitamins are one piece of the puzzle. We watch our food, go to therapy, get lots of exercise…when one of these gets out of balance, I notice and have to tweak to get things back. It’s a bit of a never ending checks and balances system. Thanks for the mango juice advice–KidsCalm can be icky tasting for kids. My son is 11 diagnosed with ADHD and Autism as well as Anxiety and Impulsiveness. It’s been a rollercoaster ride since he was 4 and has been medicated on his recent regimen since 6. I’ve been worrying about long term effects lately and not sure where to start. I’m afraid of taking him off his meds which include Folcalin, Methylphinadate, Lexapro and Resperidone. (yes I know.. it’s quite alot) any tips on where I should begin. His pediatricians haven’t really been helpful and ask me to rely on his psychiatrist opinion which is all the meds. Hi Tanya, Sorry your doctor isn’t more helpful, seems to be the norm, sadly. I’d have a conversation with your psychiatrist about where to try cutting back a bit. It can’t hurt to start some supplements while you are weighing your options with meds. Food is also HUGE with us…we are gluten free, corn free, dye free, super low sugar, and starting to go dairy free. I really notice a difference with that too. The difficulty with ADHD and other diagnosis, is that there is not just one solution, but a bunch of things that come together to make things better. I worry about long term side effects too and feel like my kid is a guinea pig. Will summer bring some relief with no school? I know my son’s anxiety really improves.Thanks for your comment, let me know what happens. Summer seems to help with anxiety level, he dislikes leaving the house so it’s a win, but I will be trying out supplements and diet, which I think will be difficult, he’s been eating everything in plain sight other than meat, he doesn’t like meat. Thank you for your suggestions! Hi Tanya, Glad you and he will get some relief over the summer. If you have not read the work of Ross Greene, take a look at it – it’s helped me learn to parent my child in a totally different way than I was parented! Take care, you got this! This is just the information I needed. I have been searching what supplements for my 9 yr daughter. She has ADHD with an extra dose of Impulsive. A long journey has proven that she cannot eat gluten or any petroleum based products such as artificial colors and flavorings, TBHQ, BHA, and BHT. Still need to reduce the sugar. Thank you for your list of supplements. Hi Laura, YES! Same with us….I try really hard to stay away from those things, too. It’s incredible to think complete junk most kids eat. Good Job, mama! Along with ADD, my grandson suffers from anxiety and depression. He has had emotional outbursts as well. He also still wets his bed every nite. He’s 10 and will be 11 in Oct. Has anyone found bedwetting issues with ADD? Focalin seems to have helped the ADD some but I’d like my daughter to start working with the natural supplements along with the Focalin. Thank you for the info. Hi Deb. Thanks for your comment. Yes to the bedwetting! My younger son(9) still struggles with it from time to time. I have heard it’s more common than you think – no one talks about it! I am taking a class online about integrating reflexes. Too early to talk about it, as I have just started, but it’s worth a look on the net. I will definitely share my findings in a few months once I get a bit more into the class. Look at http://www.moveplaythrive with Sonia Story. Do you avoid corn and all its derivatives? I notice the supplements contain some corn sources. I have a son that’s allergic to corn, so I was trying to see if my daughter (the one with adhd) is possibly reacting to corn as well. HI Ashley, You are so smart to be thinking about corn! My kids are basically corn free, but there are some things that are so hard to avoid, like the small amounts of sweeteners. Neither of my kids have any food allergies, but I am pretty vigilant about processed foods, corn and gluten. But some stuff does sneak in. : (If your daughter takes capsules, there are some good fish oil brands and I have not checked the label on Nordic Naturals – they might be totally corn free. Thanks for your comment, I’d love to hear how you navigate your son’s corn allergy – I bet you have some great tips and resources. 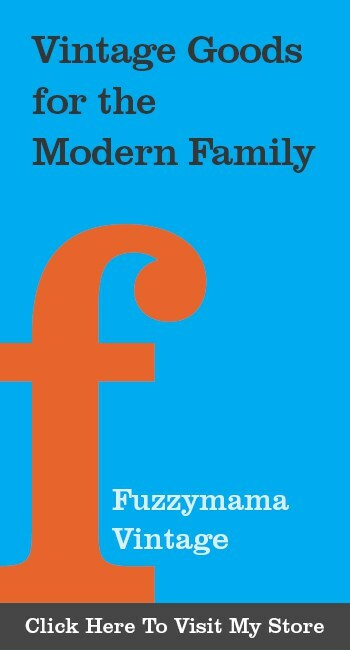 If you have time, can you share them on my Fuzzymama Facebook page? Thank you for your post! I am wondering if you know any adults who have used these supplements for their ADHD? I am 20 and in college, I’m trying to lessen the meds I’m taking and wondering if these might work for me? Hi Rose, I am sure they will work! Give them a try – you have nothing to loose. I find that also cutting back on sugar dramatically helps my boys. Diet is so important, too. Let me know how it goes! Hi, great article, thank you! I also am trying to change my sons diet, it is so hard he is a very picky eater. I bought the Calm, do you mix it with something? Everything I try he knows something is in it, also is the fish oil a liquid they drink? I bought him magnesium chewables and he doesn’t like those either, I am so fustrated, I want him to take these things but am having trouble getting him too:( Any suggestions? Hi Erin, Thanks for your note. A few ideas: My kids don’t love the KidsCalm taste, but we take it right before the Barleans Fish Oil, which is YUMMY. For magnesium, try an Epsom salt bath at night or the magnesium oil that you rub on their feet or back of neck at night(or anytime!). People have said that mixing the Calm in Pineapple juice works because it’s so sweet. Try a bit of it in a smoothie, or try to have him take just a teaspoon and work his way up? Will he eat salmon? That’s really the BEST way to get the fish oil, but my kids HATE fish. Rainbow Light and SmartyPants are some decent vitamin brands that have gummy vitamins you might try, too. Let me know what works for you! Keep up the great work, mama! Hi! My son is 8, and about 70 pounds. I was think My of trying your plan… I saw your son was 7… the one I was concerned about was MagMind…you give your son 2 per day? Am/pm? HI Kim, thanks for your note. The KidsCalm has magnesium in it too, so I usually do the magmind at night, KidsCalm in the am. If you are worried about it being too much magnesium, try one or none at night and see how they tolerate the KidsCalm. We started with magnesium oil at bedtime on their feet for awhile before they could swallow a pill. My boys just turned 10 and 12! so we have tweaked it over the years, but still do this regime nearly every day!Also Epsom Salt baths give them some magnesium, so you can try this at night instead of MagMind. Let me know how it goes! Thank you so much for all the information you share. I can’t wait to try these supplements on my 11-year-old son with ADHD. I just bought a supplement of probiotics and MagMind thanks to your recommendation, what dose and at what time do you suggest I give him Magmind? He are currently taking only one carnitine supplement. Hi Reyna! I have varied the time my kids take their MagMind. At the moment we are taking KidsCalm in the am and MagMind at night(2 capsules, my son is 12). My son seems to be adjusting to school nicely, so he does not need anymore calming in the am. Rather, he needs it at night to settle him for sleep. I’d start with one tablet and see if you see anything and then move to 2. Let me know how it goes! Hi. I am in South Africa. I have a 12yr son who is ADHD. He’s been on Ritalin since middle of gr4. Then recently a found Focus Formula and Bright Spark by Feelgood Health. They are completely herbal / homeopathic. Feelgood Health ships internationally as well. This has really been helping him. Along with that his is a good salmon fish oil supplement and MemorX syrup, he is also gluten free and almost junk free… Lol. And in combination with all of this I do reflexology treatment on his feet. Being on the natural path so has been really good. Hi Pritha! Way to Go!! I will have to look into those supplements, thanks for more suggestions. I love to hear what is working for people. The reflexology sounds great and what a nice bonding time for you guys, too. Would you recommend all the same supplements or make ay changes if the child had ADD not ADHD? Hi Melanie, Both of my boys have ADHD, although one has very little “H”. The only difference is that he does not take the MagMind at night. He has no problem falling asleep and staying asleep. Magnesium is a mellower for us, but also very important, so my youngest just gets the Mag in the Kids Calm. Thanks for asking!! This was a great post! We use Smarty Pants vitamins with omegas rather than the vitamin you mentioned, because it also has other things (vitamin D3, methylfolate, a couple of the B viamins, omega 3’s, and a couple of other things research has mentioned), along with Barleans, a calcium, magnesium, zinc blend tablet, along with avoiding milk casein, since it makes my son extremely nasty, processed foods, red dye, HFCS, caffeine, and excess sugar. We just started him back on an extremely low dose of medication after walking away from him being completely drugged up 2 years ago. Now we have a doctor who supports the combination. I will be checking out the Jarrows this week now that I have some parent feedback on it. We don’t have cable, the only video games he has are “sandbox” games, or otherwise mind engaging, and they’re reserved for weekends only. During the week, he reads, does school computer work, it has activities. Now if we could just get his school to follow the IEP that was THEIR suggestion and a lot of their input, things would be pretty ideal, because he’s amazingly well behaved at home! You are doing such a great job!! I’d like to stop Dairy, too….if you don’t mind me asking, what do you notice when your kiddo has dairy? That’s one thing we have not given up completely…we do have yogurt and free pizza occasionally. Thanks for reading!!! This has been so helpful! I have a 11 year old son. I have been researching a lot and came across your site! We ordered everything you suggested. He stared the kids calm and we all saw some immediate changes. He was so sweet and polite and seemed a lot happier. I didn’t want to get my hopes up to much but it’s been 4 days and we are continuing to see these changes! I am amazed. I just received the Megmind and fish oil. My question is when should I give him the megmind? I have been doing kids calm 2x a day. Morning and bedtime. Should I do Megmind before school and kids calm at bedtime? Thanks for all your information. It’s been a huge help! Hi Alana! Great news!! I am so glad the KidsCalm is helpful for your son. My advice is to take the Magmind at a different time than the KidsCalm. We do KidsCalm in the am and Magmind in the PM(about 45 mins before bed.) Since the KidsCalm contains magnesium, you don’t want to give the two at the same time. I’d start with one magmind at a time. Let me know how it goes! Thanks for reading. Hi Meg! We started with Magnesium Oil when my kids were 4 and 6…then moved to kids calm and then magmind when they could swallow the pill, so they had gradually increased their magnesium intake. I say slower is better – start with kids calm in am and one MagMind at night and see. Of course, I am not a doctor and can only rec. what worked for us. You may even want to just start with the Kids calm and see how that does alone. My oldest, who is 13 takes the kids calm in the am and 2 to 3 MagMind at night and has no side effects. Let me know what works, it’d be great to share with others. I was wondering my son is 8 and I just wanted to know if there is a routine to this supplements, for example what should be taken in the morning , what at night?? How should I begin? Sorry, I’m new at this, any suggestions? Hi Carolina! Thanks for your note…this stuff can be really overwhelming. We have changed how we take things over the years, but when we began, my kids took the KidsCalm and the fish oil in the am. Then at night we did the magmind(about 45 mins before bed)…I started with one and then went to two pretty quickly. Always start with a small amount and see how it goes….everyone reacts differently. Too much magnesium can cause diarrhea, so watch for that. The kids calm has enough magnesium to start the day calmly and at night the magnesium helps go to sleep(we seriously notice when we forget this now! )I’ve also done the magmind in the am and then the kids calm at night……mix it with pineapple juice if your son doesn’t like the taste. Let me know how it goes!